Scenario: A brand new HP Storageworks P4500 G2 network storage module (NSM) fails to boot out of the box. If there is data on the module that needs to be recovered, then the above would not be an option, as it wipes the module and places on a new image. Note 1: Can put the USB key in later after booting off the CD when prompted; also – if do not have a USB key to hand – can manually input the License Key. Note 2: The above scenario is very unlikely, and has happened to me only once in many LeftHand/Storageworks SAN/iQ installs. Note 3: This procedure was done for an NSM with SAN/iQ 8.5 Recovery CD. Note: This is pretty much from http://blog.ghai.us/bob/?cat=6 but with a few pictures and small edits/additions. 2.Select Host > Configuration > Networking. 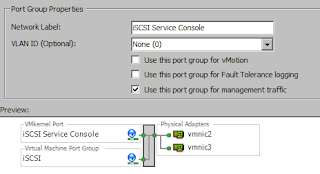 4.Select “Virtual Machine” to create new vSwitch for iSCSI connectivity > Next. 5.Select “Create a virtual switch” and check the box next to the VMNICs for iSCSI connectivity > Next. 6.Type a name for the new virtual switch. (e.g. iSCSI) > Next. 8.Scroll down and click Properties on the newly created vSwitch. 9.Click Add button to add Service Console port. 10.Select “Service Console” > Next. 11.Type a name for the new service console port. (e.g. iSCSI Service Console) > Next. 12.Select “Use the following IP settings” and type an IP Address on the iSCSI network > Next. 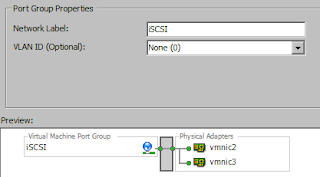 14.Click Add button to add first iSCSI VMkernel port. 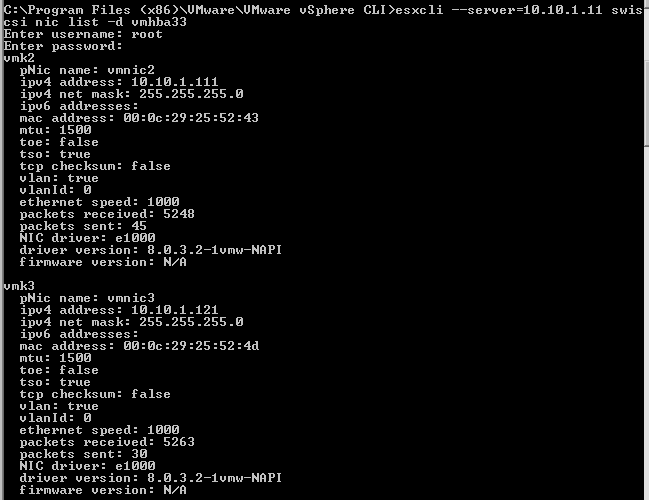 16.Type a name for the first new VMkernel port (e.g. 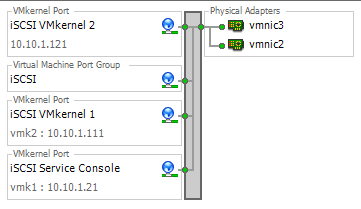 iSCSI VMkernel 1) > Next. 17.Select “Use the following IP settings” and type an IP Address on the iSCSI network > Next. 20.Select the first VMkernel port created and click Edit. 21.Click the NIC Teaming tab and select “Override vSwitch failover order”. 22.Designate only one active adapter and move the remaining adapters to the Unused Adapters category. 24.Repeat Steps 20 to 23 to map each VMkernel port to only one active adapter. 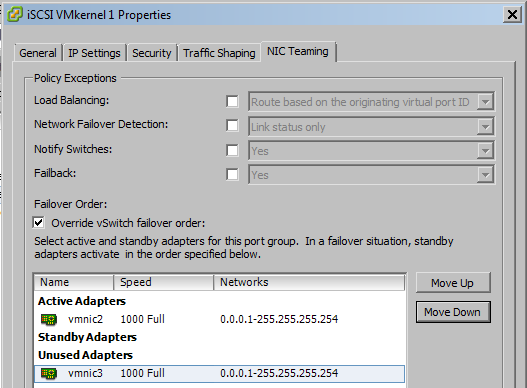 Only one active adapter can exist per VMkernel port for multipathing to function properly. 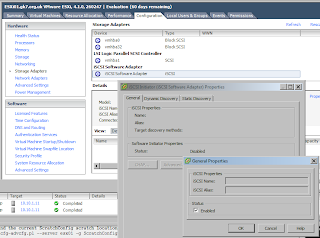 28.Repeat the esxcli command until all VMkernel ports have been connected to the software iscsi initiator. 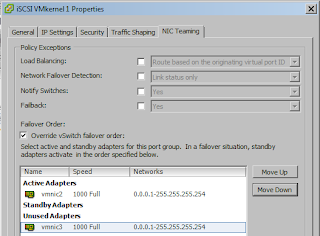 29.Verify the VMkernel ports connections by running the esxcli command. Multipathing configuration is now complete! Note 1: vmhba33 is not always the iSCSI software initiator; the vmhba number can be found from the storage adapters tab in the vSphere client. ESX is dead, long live ESXi! VMware vSphere 4.1 is going to be the last release of ESX; there will be no ESX 4.2. From now on it will be ESXi all the way. 1) VMware ESX. VMware vSphere 4.1 and its subsequent update and patch releases are the last releases to include both ESX and ESXi hypervisor architectures. Future major releases of VMware vSphere will include only the VMware ESXi architecture. 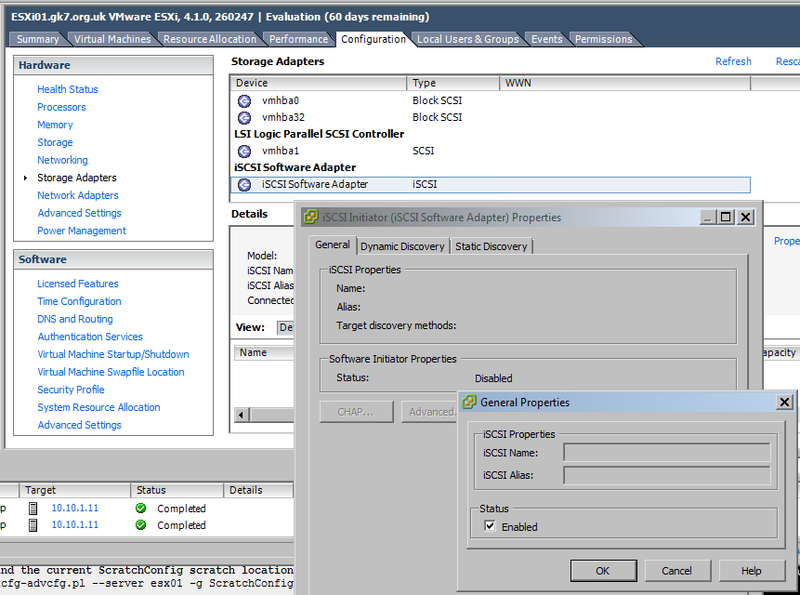 2) VMware recommends that customers start transitioning to the ESXi architecture when deploying VMware vSphere 4.1.